Growing up, I was a competitive athlete in multiple sports. I’ve always had a passion for health and fitness. After college, I became a financial professional. I gradually became less focused on fitness and more on work. This caused me, as it does many people, to develop poor eating habits and become less active. The result was a great deal of weight gain. After losing my job in the financial collapse of 2008, I decided to turn the loss into an opportunity for me to get refocused on my health and the one true passion I’ve always had, fitness, in form of Jason's personal training program. My assigned trainer got me out of my rut and back to myself. Since that time I achieved extreme weight loss - I have lost over 65 lbs, and along the way developed a fun and successful approach to helping others achieve their fitness goals despite demanding schedules. I am now a certified personal trainer in Marina del Rey. I know from personal experience how difficult it can be to find a place in your schedule for a workout, and I know how to make the most of that time. I'm available for personal training at your Marina del Rey home or building's fitness center or outside.
" I think I look even better post-baby than pre-baby"
Even though I’ve played sports most of my life, I’ve never been someone who enjoys working out just to work out. But Barry’s personal training style, not to mention the results, have kept me coming back for over a year. Whether it’s one on one or in a group, Barry gives you the attention and encouragement you need to power through. And, he makes it a good time, which is huge. He tailors workouts to improve your particular body, he changes things up so you don’t get bored and he knows what you’re capable of even when you don’t. Thanks to Barry, at 30, I’m leaner, stronger and more toned then I’ve ever been. Working out has never been something that was enjoyable for me but working out with Barry is like hanging out at the gym with a friend, except you actually get a workout, don’t get me wrong, the working out portion of the program is painful, but he definitely makes the trip worthwhile and I always have a great time hanging out with him. He’s like that one friend who just won’t let you get away with anything, no matter how much you complain. He knows that we are there for a purpose and he makes sure that you work towards those goals. At times I’ve wanted to kill him because I’m in so much pain but the end result is totally worth it. I originally started working out with Barry just to prepare for my wedding, but even though the wedding is over I’m going to continue my sessions with him because I’m in the best shape of my life and I’ve never had so much fun in the process. Barry Ware is a kind, compassionate human being. He is a wonderful trainer who will help you reach your goals, and hold your hand in every step of the process. Being a client of his I am impressed by his vast knowledge and dedication he possesses. He has helped me in so many ways in reaching my goals. He makes working out an enjoyable experience because he changes up the routine frequently to make it fun, and to enable one to have continuous results. 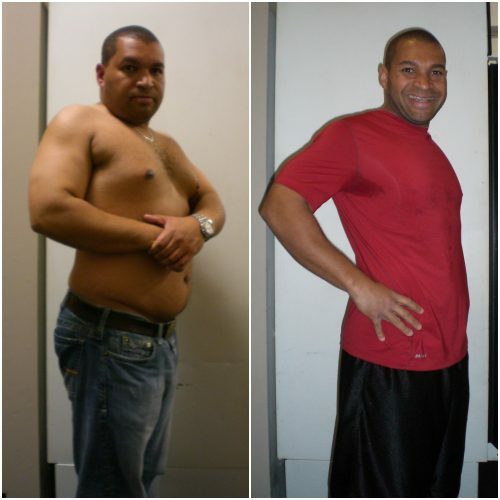 It his continuity in his personal training that makes all the difference. Because of his expertise and ability to motivate me to reach new heights in my workout routine, I went from 8% body fat to 5% body fat in a matter of 6 weeks. I have yet to meet another trainer who possesses the amount of passion, dedication, consistency, and continuity as Barry. If you feel like you’re stuck in a rut and just not seeing results do yourself a favor and train with Barry. Barry will help make you realize that you can do so much more than you give yourself credit for. You will be amazed by the results, and you will have a great support system as well. Barry has the amazing ability to motivate and encourage others. Barry really cares about his clients and, he goes that extra mile to be the support system that we all need. If you are looking for a great trainer and person to work with then look no further! My wife and I have gone through several work out routines and been members of countless gyms generally all ending with the same results – boredom! When we met Barry not only was he a great person to work with but he kept the routines varied and challenging. We saw immediate results from Barry’s instruction and the once dreaded trip to the gym became something we both looked forward to. If we hadn’t moved we’d still be training with him today. If you are looking for a great personal trainer and person to work with then look no further! Barry is an excellent personal trainer. He varies the exercises so this is never a routine. He pays attention to developing both core strength and mobility. He is focused on you and your development, always professional and engaged. And finally he is a nice and fun guy to be with, and it is always a pleasure to train with him. I would therefore recommend him to anyone interested in maintaining and improving their physical condition.